Are you ready for Cinco de Mayo? 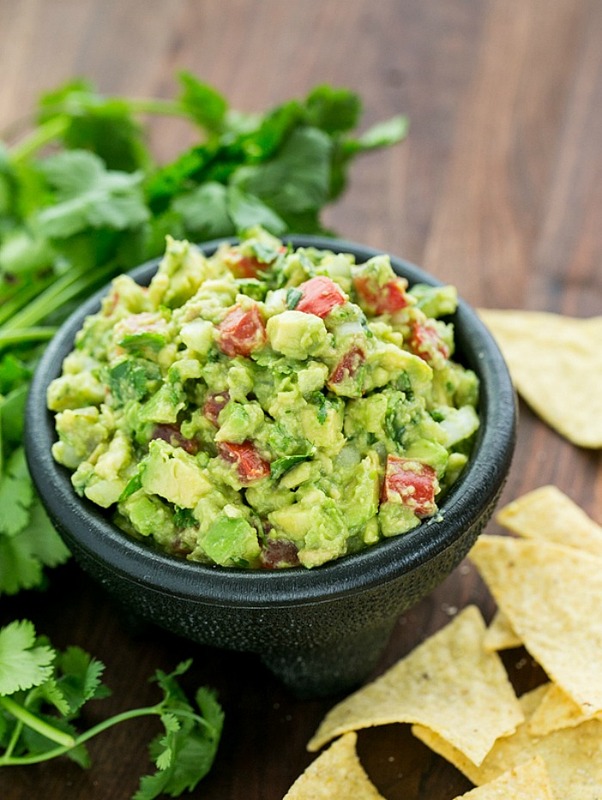 Whether you are staying home or going out, a Cinco de Mayo celebration is not complete without guacamole. Guacamole isn’t difficult to make at all, the secret is using only the freshest ingredients and appreciating how to balance all the components to create the perfect flavor profile. I love my guacamole with chunks of fresh, buttery avocado but with a little tang (lime) heat (jalapeno) and freshness (cilantro). I wish I could take credit for this recipe, but it has been generously shared by Chef Prasad Chirnomula, owner and operator of Oaxaca Kitchen. And you might of guessed, if you live in Connecticut, this is the place to be on Thursday to experience delicious and authentic Mexican cuisine and celebrate Cinco de Mayo! Oaxaca Kitchen, located at 223 College St, New Haven, CT, will be featuring drink specials all day on Thursday at the bar, including $6.00 margaritas and sangrias, $4.00 Corona’s and Modelo’s. Giveaways and DJ “AJ” will be spinning tunes starting at 6:00pm! The kitchen, led by Chef Prasad Chirnomula (Thali, Thali Too, and INDIA are his other restaurants) offers customers an authentic experience with recipes direct from Oaxaca, Mexico, including tacos, empanadas, tamales, enchiladas, fajitas, traditional Mexican moles, freshly made salsa and guacamole and house-made margaritas. Below is the guacamole recipe, enjoy! Thin slices of red radishes for garnish. Serve with tortilla chips or sliced cucumbers. Add the chopped onion, cilantro, lime or lemon, salt and mash some more. Chili peppers vary in their hotness. So, start with a half of one chili pepper and taste to adjust accordingly. Before serving, add the chopped tomato to the guacamole and mix and garnish with radishes and some more chopped tomatoes and cilantro. Serve immediately with tortilla chips and cold beer! Here is your daily world news via theSkimm!